The overlapping of fonts, graphics and colors cannot only make UI designs more eye-catching and distinctive, but also create a sense of space. And that’s also why overlapping of different mobile app UI design elements has been widely used by designers in recent years. 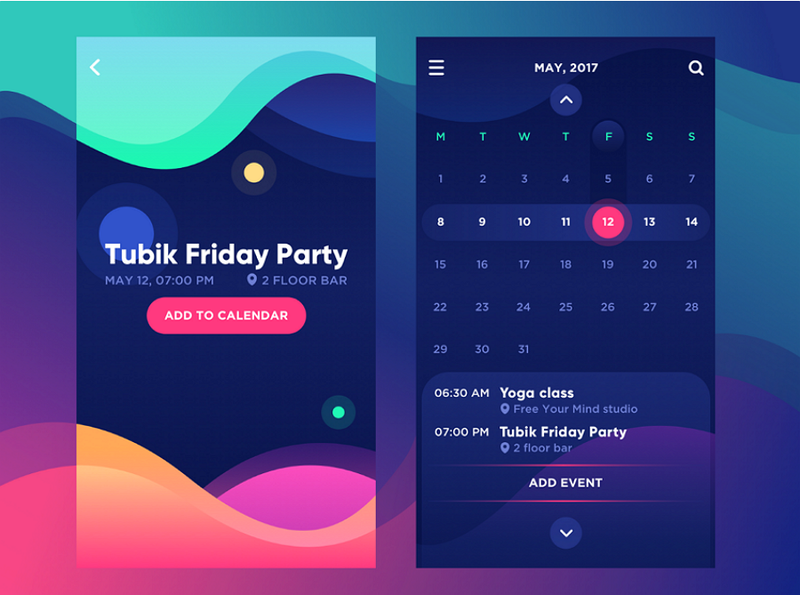 Moreover, in some cases, the overlapping of the same elements, combining with shadows, will also make the whole mobile app interface designs more fantasy and impressive. Hence, the overlapping of different elements in mobile application UX designwill also be a trend in 2018. 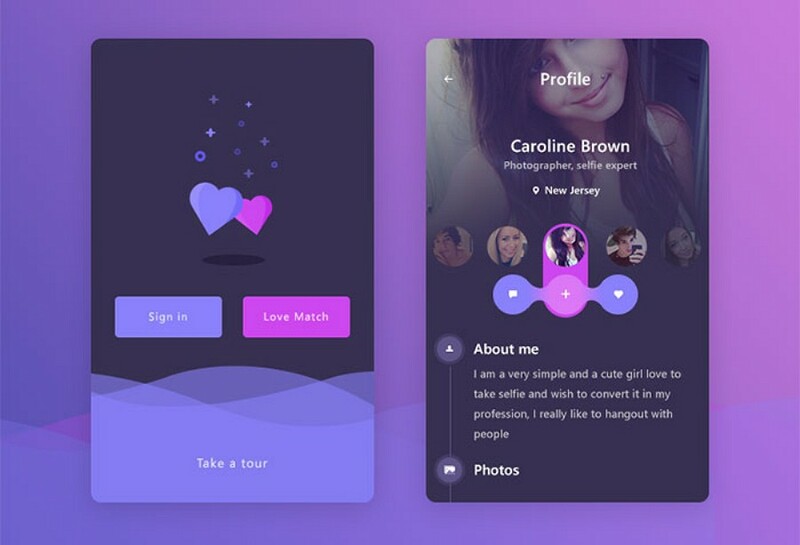 In last few years, rising numbers of designers adopt color gradients in their design works when they are trying to design logos, buttons and backgrounds for mobile app interfaces. Why? The answer is simple. 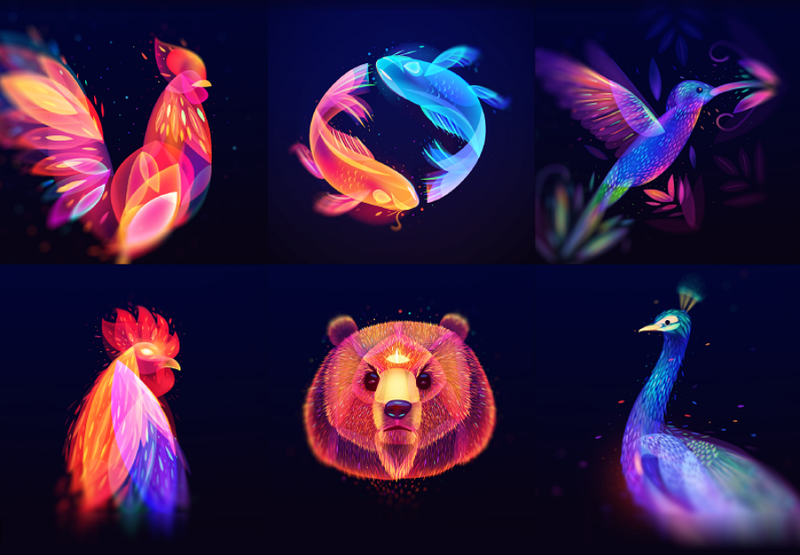 Even when you have chosen a single color, you can also show a rich sense of hierarchy and draw a beautiful picture while combing it with color gradients and different graphics. The same components can have different effects after you have adjusted or set their transparency. So, while designing phone app interfaces, setting the opacity of different components is a nice way to work out an excellent design work. Moreover, the transparency settings for different colors or graphics can also create a colorful glass texture for app interface components. And that’s why designers widely use this method into mobile app logo designs. Overall, no matter how you will add opacity effects to UI design works for mobile apps, setting transparency of different components will have a definite rise in popularity for the next year. 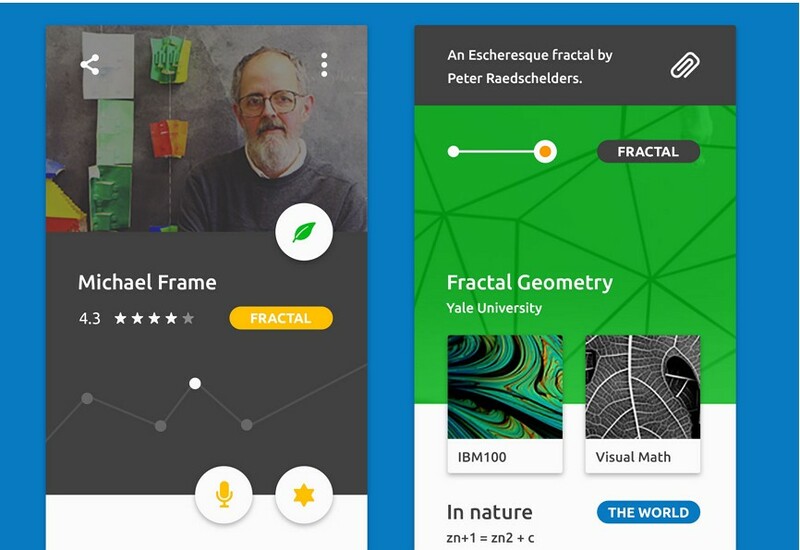 In comparison with a complicated and changeable UI design style, more and more designers have adopted a simpler and more natural design style in mobile app UI design. 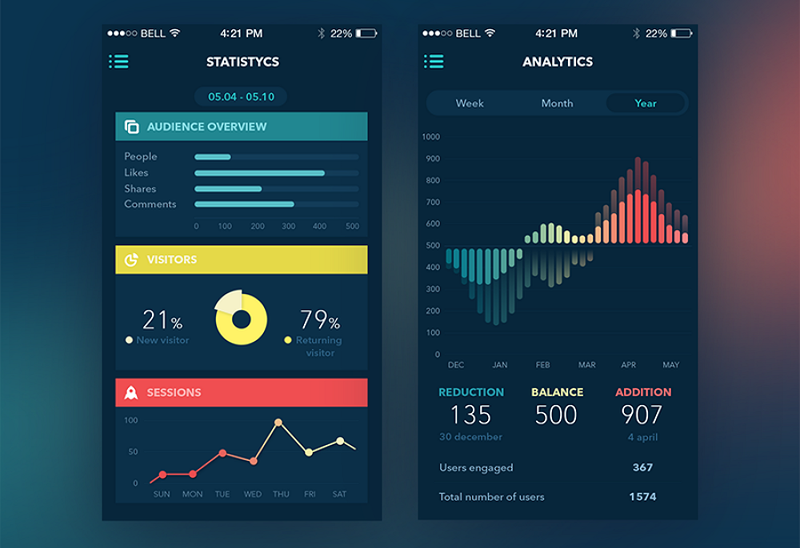 For example, in comparison with a phone app interfaces covered with various colors, graphics, buttons, pictures, animations and more complicated elements, a phone interface with simple curves, geometries and buttons could be more effective for people to focus on the major functions and features of a mobile app. So, this way will also be trending all the way across 2018. Strong color or font contrast could also help designers work out an excellent UI design to attract user attention. For example, adding fonts in different styles, types, sizes or orders can also deliver a sense of hierarchy and space. Color in different types and styles also create sharp contrasts and make entire designs more colorful and eye-catching.